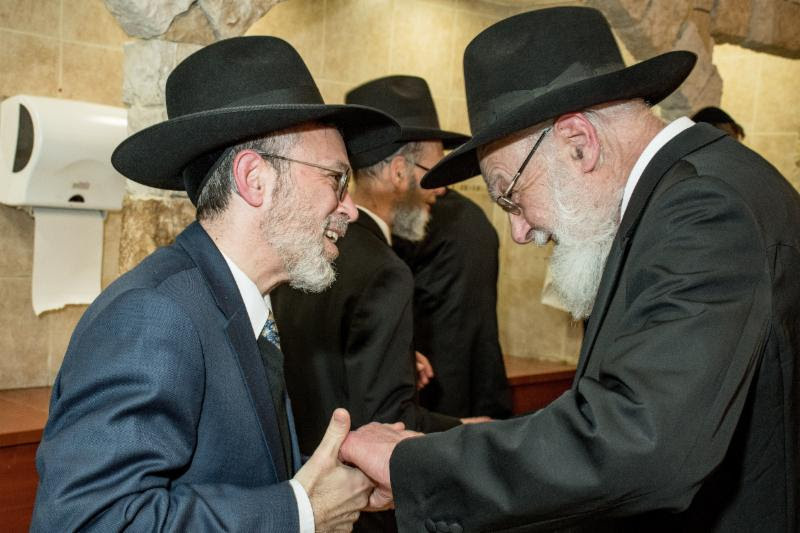 It was a tremendously meaningful evening as we honored Rabbi Mendel Farber at our Melaveh Malkah. 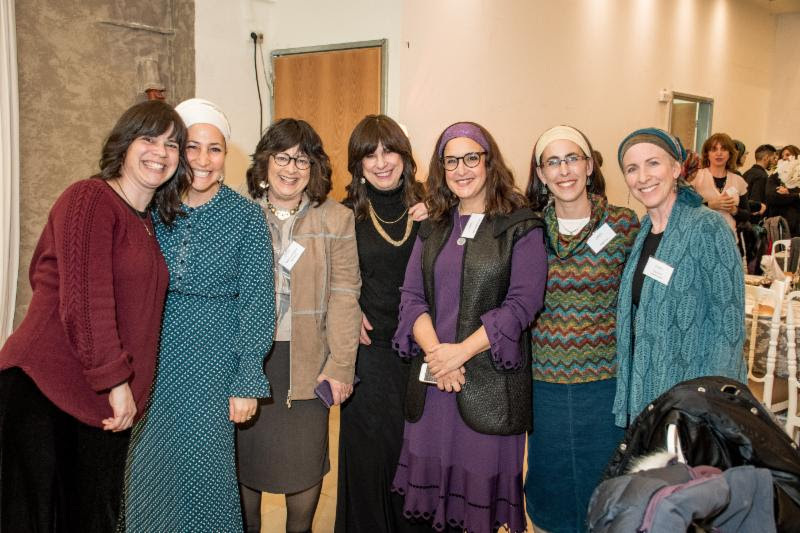 It was a “full house” of alumni, faculty, students and friends who were delighted to both reconnect with one another and pay tribute to Rabbi Farber for his 30 years of dedication. 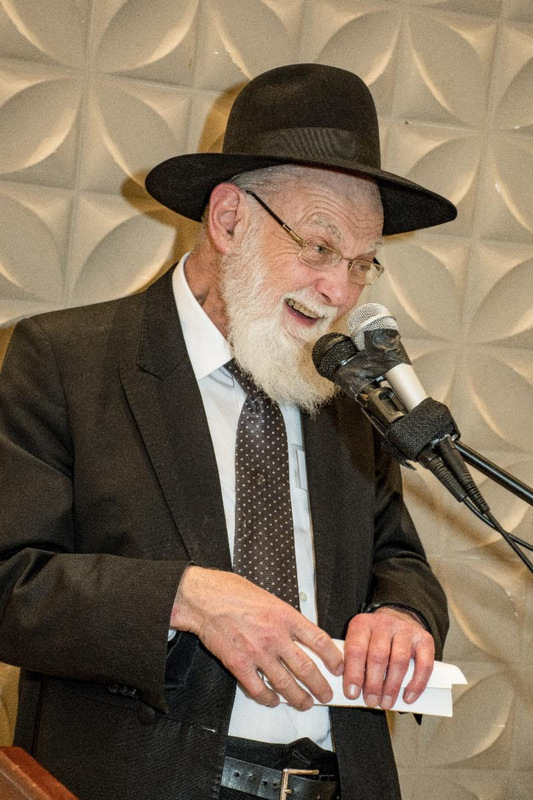 After time for the buffet and “shmoozing,” Amos Levi- our master of ceremonies- introduced the program, including his personal thanks for all that Rabbi Farber has meant to him and his family. Rabbi Hirshfeld and Rabbi Choleva made the siyum on Sidrei Mishayot Moed, Nashim and Nezikin learned by alumni in memory of Rebbetzin Zohar Farber a”h. 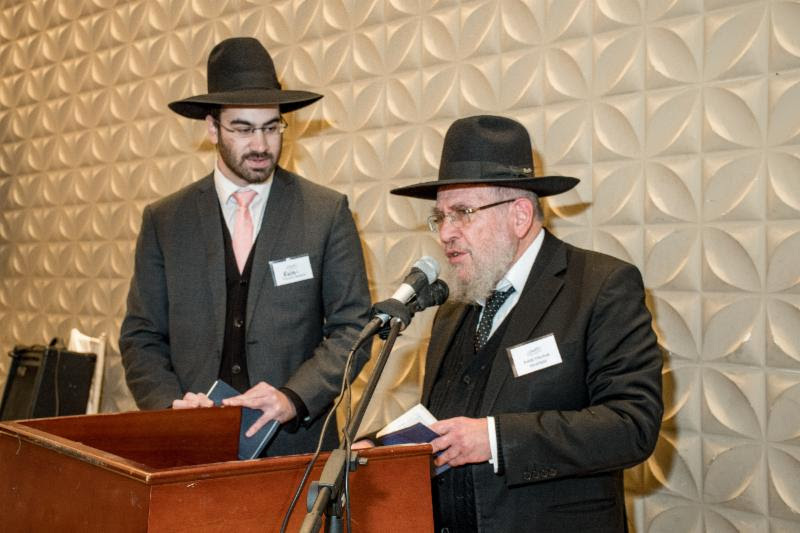 Rabbi Dovid Cohen, Rosh Yeshiva of Yeshivat Hevron and a son in law of Rabbi Farber, delivered a moving appreciation of Rabbi Farber as a true student of HaRav Yitzchak Hutner zt”l (the Pachad Yitzchak) who by virtue of being a true talmid has merited to build up countless student of his own. He extended this to the wonderful work that Shapell’s has done in building Bnei Torah. 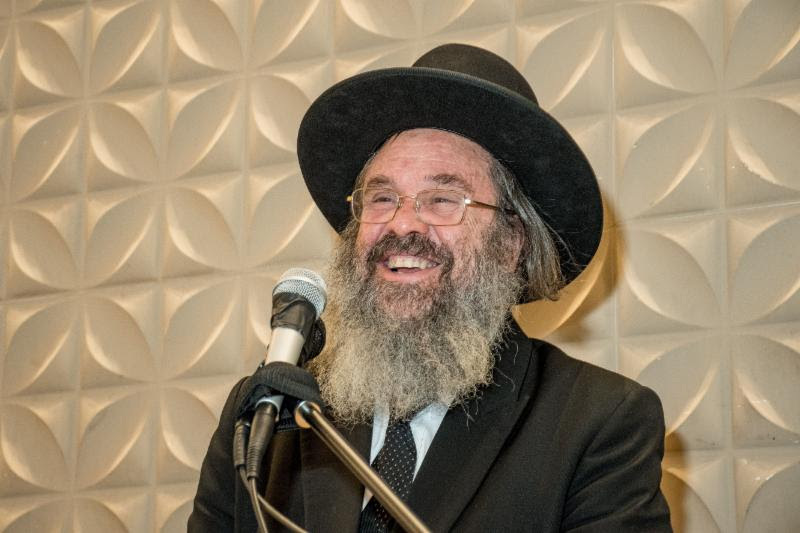 Rabbi Karlinsky spoke about Rabbi Farber as providing the “song” of Shapell’s, full of love and joy for the Torah and all of our students. 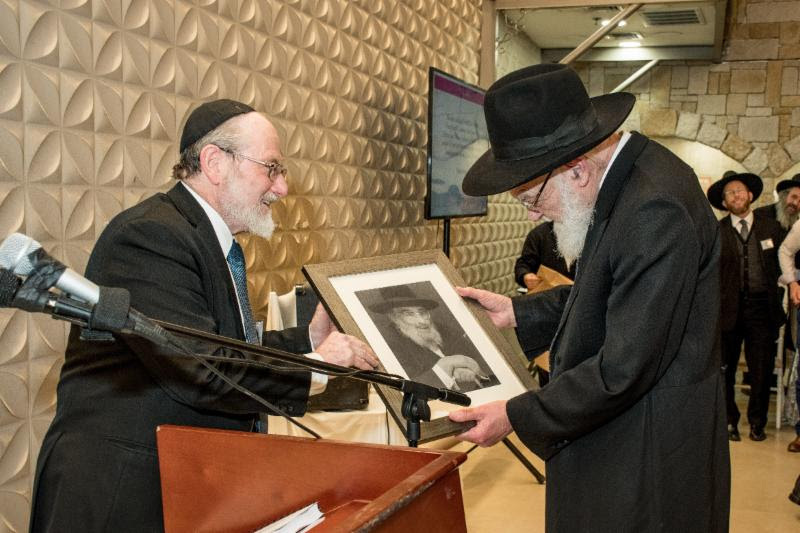 On behalf of Shapell’s/Darche Noam he presented Rabbi Farber with a framed, original photograph of Rav Hutner, along with a bound copy of the Tribute Journal with the beautiful words written by so many of his students, colleagues and friends. Rabbi Farber responded with an emotional, heartfelt “thank you- toddah rabbah” to all. and invite you to view the Tribute Journal by clicking here.